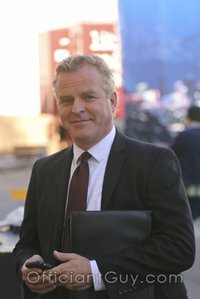 As the busiest wedding officiant and non-denominational wedding minister in Los Angeles County, I have been the wedding minister at almost every wedding venue in Los Angeles and Orange County. Some of those weddings were the McKenna’s on the Bay in Long Beach, which is now called The Boathouse on the Bay. 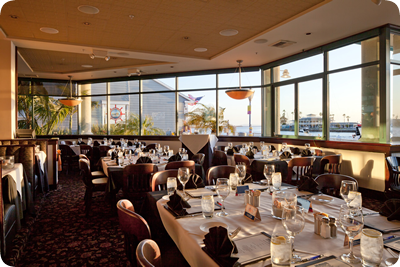 Imagine your wedding overlooking picturesque Alamitos Bay with a professional event and banquet coordinator. They will help you plan for something that will make an everlasting memory. Sunsets and sailboats leisurely sailing by will be a backdrop to your ceremony. At your reception, you and your guests will enjoy the fine food and spirits of this great restaurant. Audio and video support are also available to make your big day a success. You can even be married outside on the patio deck with the ocean surrounding you. The Regatta Room can accommodate larger weddings and receptions with up to 400 guests. Other banquet rooms are available for smaller groups. No matter where your ceremony and reception area, the views of Alamitos Bay is stunning. You may wish to plan to your wedding at sunset when the waterfront views are most impressive. At your reception, you will be able to choose from an extensive banquet menu offering quality seafood, prime meats, chicken, pasta, an array of appetizers. You can even serve your guests sushi and sashimi. 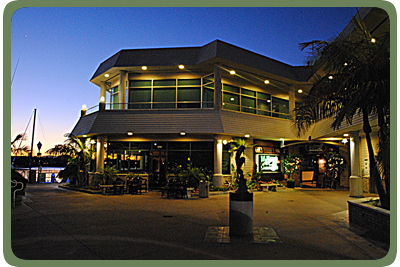 When you are planning your civil wedding or religious wedding in Long Beach, Los Angeles County or Orange County consider the warm ambiance and beautiful setting at The Boathouse on the Bay. And please consider this non-denominational wedding minister. 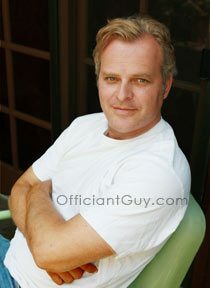 the Officiant Guy, as your wedding officiant.